Spice blends were one of the challenges I discovered when our son first became gluten free. There are a lot of Mexican seasoning blends that have gluten in them as a filler. That hidden gluten became something I needed to watch for. It became easier much of the time just to make my own. 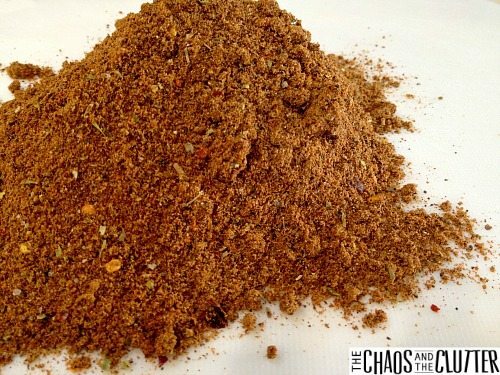 Taco seasoning is the Mexican spice blend I use most often because my family loves these flavours, so I make it in huge batches and freeze it in a resealable freezer bag. 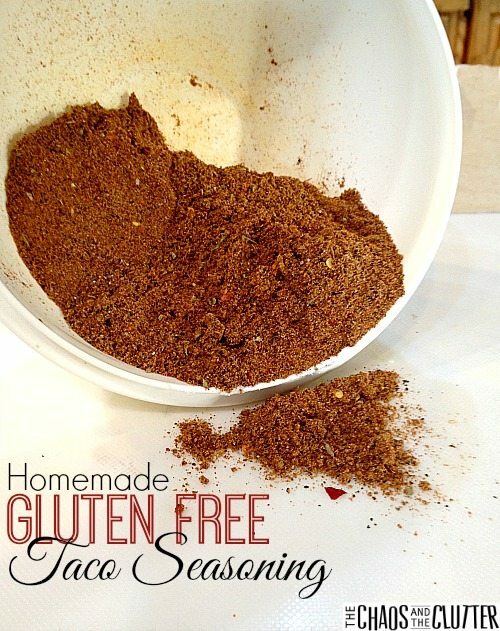 The gluten free taco seasoning recipe I’m sharing today is for a small amount of taco seasoning. I actually times it by 8 or 10 because it’s just as easy once I have all the ingredients out to make it all at once. If you like things on the spicier side, you can increase the crushed red pepper flakes or add a bit of cayenne pepper. Store in a resealable bag or airtight container. I keep mine in the freezer. Another benefit of making your own gluten free taco seasoning mix is that you are able to control how much sugar (in this case, none) and how much salt go into it. I always have more peace of mind when I’ve made something myself because I know exactly what ingredients went into it. Are there any directions on use of the Taco Seasoning for beef Taco’s? I tried this recipe because of a low sodium diet that I must be on for some tests. Very good, but cut the sodium to a 1/4 tsp. and didn’t add the red pepper flakes , which you can add for more spice. We thought it was spicy enough without the red pepper. This will be a keeper!